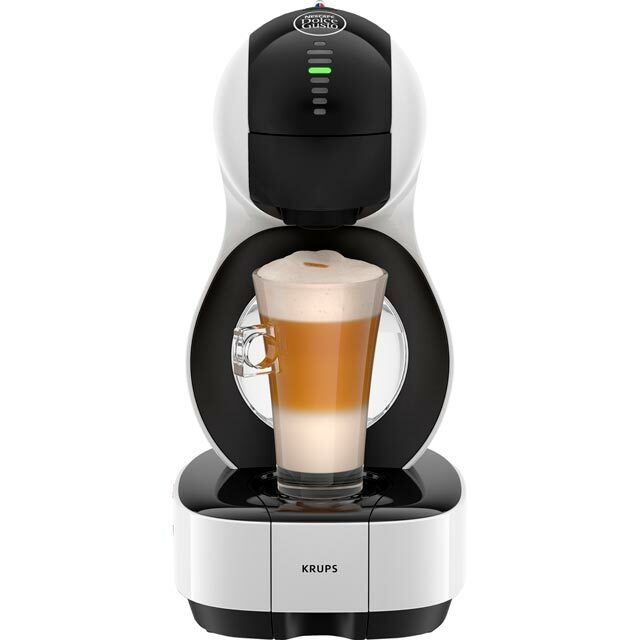 Satisfy your caffeine cravings with this fantastic white pod coffee machine from Krups. It’s compatible with the full range of Nescafé Dolce Gusto capsules, so you can indulge yourself in all your favourite blends. It also has a 1500 Watt power output and a 1.2 litre water capacity, which means it won’t need topping up too often. And, you won’t have to wait long to enjoy your first sip, thanks to its fast heat up time. You can even adjust the height of the drip tray so it’ll fit all your best mugs, whether you’re making a single espresso or a tall latte. I love the fact that you can make a coffee in about a minute and there are loads of options. A coffee for every taste. It also does tea and cold drinks. Super easy to use and clean. Looks great too. My only issue is that the water doesn't get very hot so sugar didn't dissolve. It is drinkable straight away. 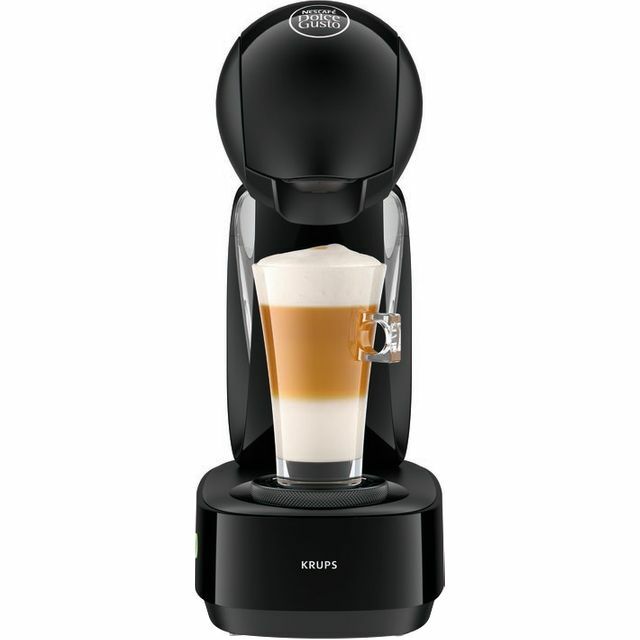 Makes great coffee but build quality is a bit flakey! 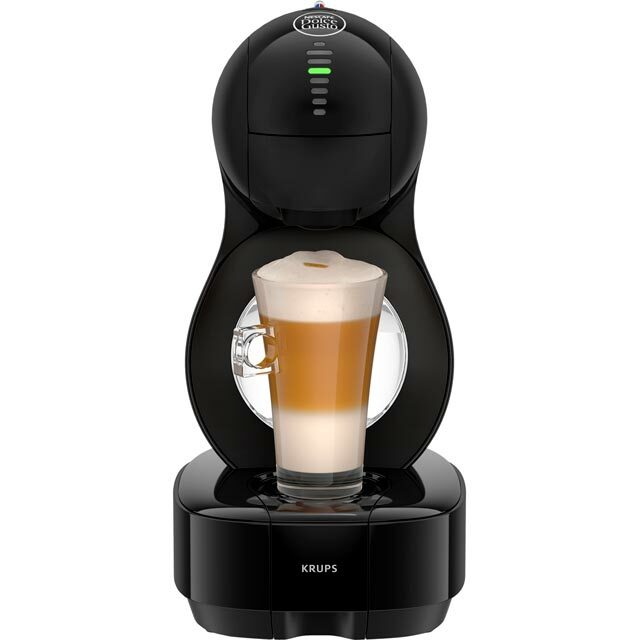 Third Dulce Gusto machine, this one, as with the others, makes great coffee, but the quality of the machine isn’t great. Last one lasted about 18 months, this one has had 2 minor faults (addressable by me) in first few weeks - if continues, it’s going back under warrentee. Good price on the product and great service from AO, but let’s hope the product holds out! Fabulous Service - great product - happy customer! Bought as a gift - neat but stylish little coffee maker. Easy to use, great value for money and very good availability of a wide range of pods to suit - what's not to love! 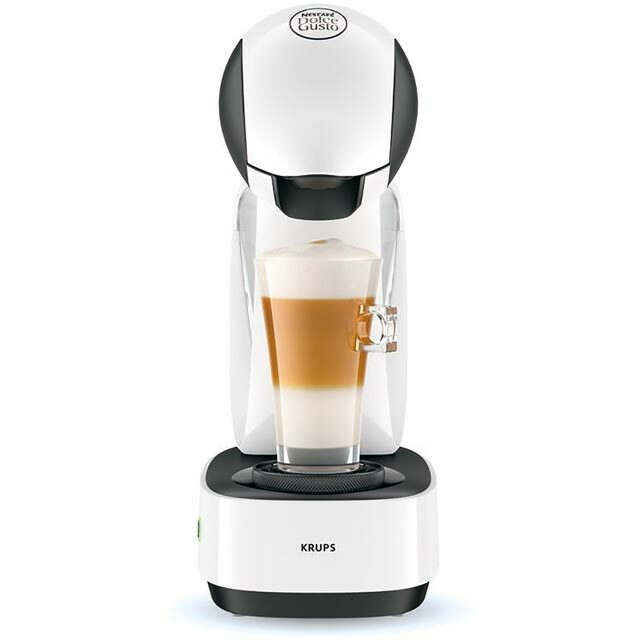 Replacing our original Krups machine, I wanted to keep to the same reliable make. Saw this futuristic looking machine in a local store; fell in love with the look. Filler tank is twice the size of other machines, 1.2 litres, so you can get more than 1 cup from each fill. Had to check if you can buy compatible pods and yes, you can.] All in all, am in love with this purchase.